A thoroughbred, a workhorse, a mainstay, a cornerstone, a pillar – whatever phrase you prefer to describe something as hard-working and long-lasting can be applied to the P-3 Orion. 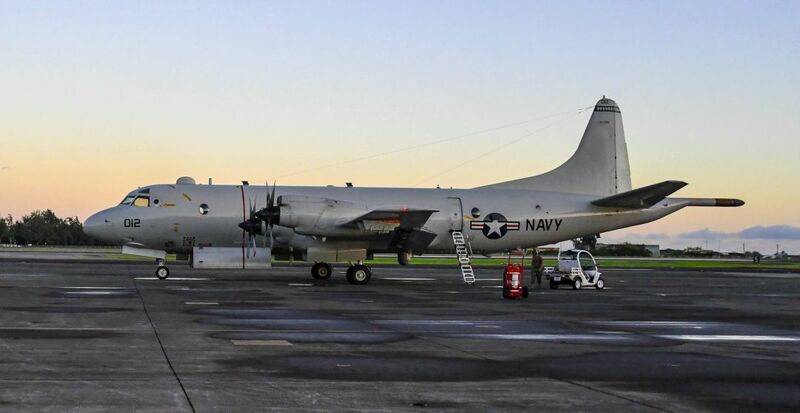 The P-3 is an anti-submarine and maritime surveillance aircraft used by the Navy for over five decades. 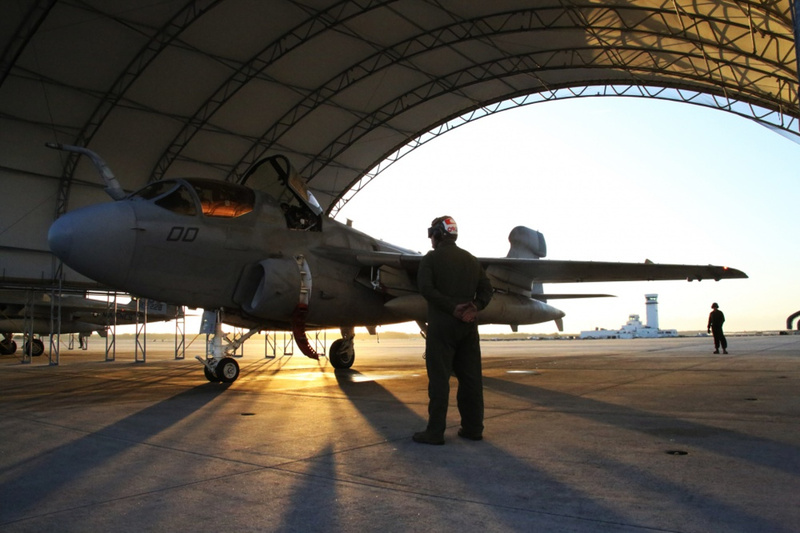 The aircraft was introduced in the early 1960’s and after a long and illustrious life, it is being phased out of active duty. The P-8 Poseidon is taking over as the Navy’s go-to maritime surveillance aircraft. The P-3 Orion takes off the runway at Marine Corps Base Hawaii. The P-3 Orion is a four-engine turboprop anti-submarine and maritime surveillance aircraft developed by the U.S. Navy in the 1960s. Submarine technology quickly heightened during the Cold War. Because of this, many countries around the world feared a nuclear attack could come from a submarine. 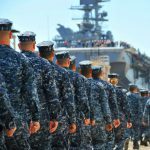 This concern prompted the MIlitary to upgrade its maritime surveillance and anti-submarine efforts. The P-2 Neptune, the predecessor to the P-3, simply did not have the technological capabilities needed to keep up with submarine production. A P-3 Orion patrol aircraft was prepared for final takeoff during command disestablishment at Marine Corps Base Hawaii. An aircraft with longer endurance, greater range, and better weaponry was introduced in 1962; the P-3A Orion. Lockheed Corporation began production in 1957, using the L-188 commercial jet as the base of the P-3. 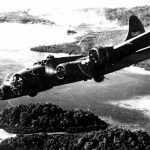 Lockheed’s entire arsenal of maritime aircraft information up to that point – range and capability, antisubmarine warfare, electronic surveillance – all came together in the design and production of the P-3. This aircraft was designed and built to perform at its peak for decades to come. There are three versions of the P-3 Orion; the P-3A, the P-3B, and the P-3C. The P-3C was introduced in 1969 and became the most used and most produced version of the Orion. The modification to its computer display system was one major difference that set up the P-3C to be relevant for the next half-century. The P-3A and P-3B utilized an analog system. The P-3C introduced the first digital computer display screen in a maritime aircraft. A magnetic anomaly detector (MAD) is outfitted in the tail of the P-3. The MAD detects a magnetic anomaly in the Earth’s magnetic field caused by a submarine. However, a MAD has a limited range. This means the aircraft must be near the watercraft at a low altitude in order to detect it. Additionally, the P-3 is equipped with advanced submarine detection sensors and directional frequency and ranging (DIFAR) sonobuoys. These sonobuoys are ejected from the aircraft and deploy upon impact with the water. They emit sound waves and can ping an underwater machine’s location and then relay that information back to the P-3. 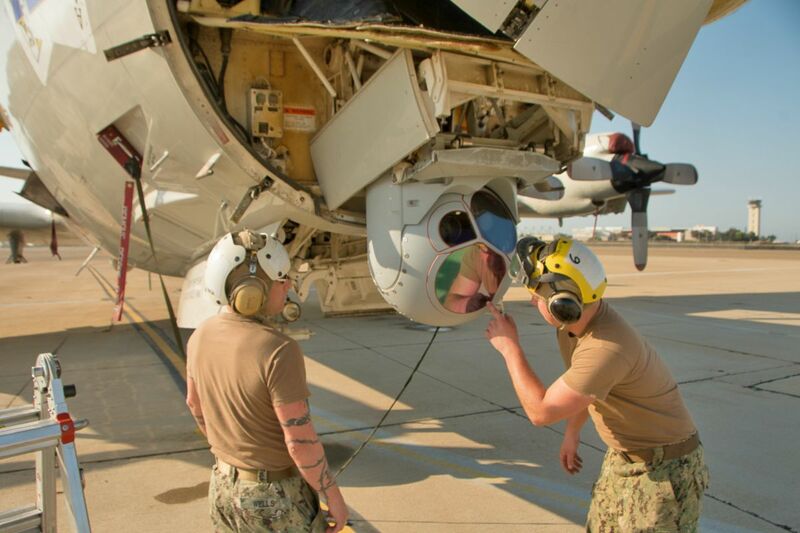 Aviation Electronics Technician 1st Class Thomas Wells (left) and Airman Aviation Electronics Technician Nathan McDaniel inspect the multi spectral sensor turret on a P-3 Orion. The P-3 provided phenomenal information during the Cold War and the Cuban Missile Crisis. However, the world changed, and monitoring the open seas wasn’t as high a priority. The P-3, once just a submarine locator, evolved into a much-needed assistance aircraft. It began to fight forest fires, operate surveillance missions in the Middle-East, monitor fishing and wildlife areas and hunt down drug runners. It became the go-to plane for customs and border patrol. NASA even utilized the aircraft for weather research. The last P-3 rolled off the production line in 1995. 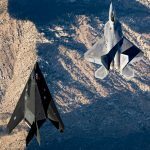 It coincided with Lockheed Corporation and Martin Marietta merging to form Lockheed Martin. However, that was far from the end of the P-3 Orion. 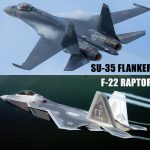 The “Mid-Life Upgrade Program” from Lockheed Martin was enacted in the mid-2000s. The program’s goal is to provide necessary technological and framework maintenance upgrades. These upgrades positioned the P-3 to be relevant for the next two decades. 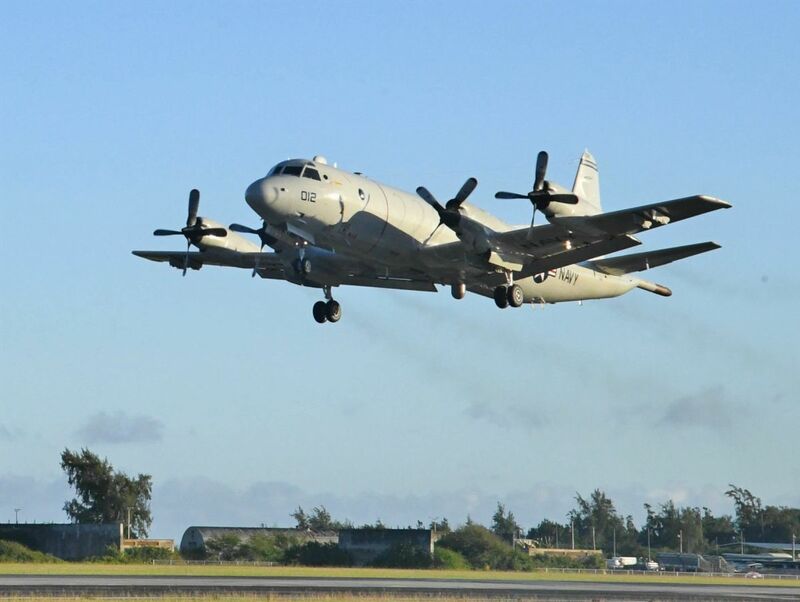 The last P-3 active duty deployment on the East Coast began in July 2015, from Jacksonville, Fla. The P-8 Poseidon will soon take over as the Navy’s premier maritime aircraft.